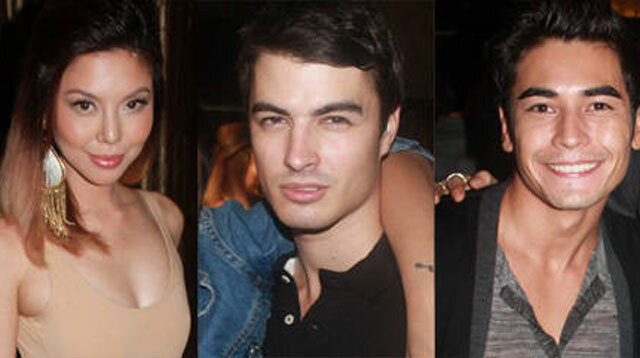 Cosmo.ph columnist Bianca Valerio gives us a peek inside the hot DJ/model/Cosmo Hunk of the Month's exclusive party. You girls seem to have enjoyed reading about the double life of Australian model Callum David (a.k.a. DJ Vinimal) in a previous feature, so we're sharing with you snapshots from his recent birthday bash which was attended by some of the hottest faces in the fashion scene. The party took place at Prive Luxury Club in The Fort Strip and was hosted by models Julia Sniegowski and Marianna Cresci. We spotted lots of other models in the crowd, such as Fabio Ide, Robbie Becroft, and Mike Concepcion; as well as stylish celebs like Raymond Gutierrez, Laureen Uy, Phoemela Baranda, Frank Magalona, Tim Yap, and more! The event was more than just a celebration of Callum's birthday, however. It also doubled as the launch of Prive's Models' Night, which is every Thursday, at the chic club. Launch the gallery to see all the fabulous people who came to party with Callum and his crew!